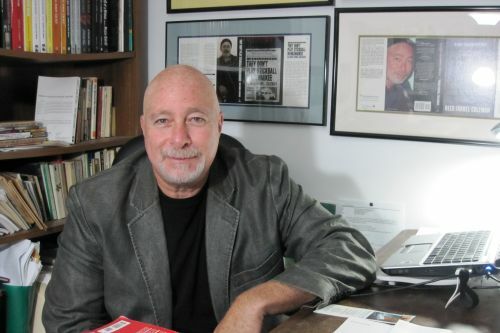 Reed Farrel Coleman is an American author of hardboiled detective fiction. He is best known for his Moe Prager series. Reed has won the Shamus Award for Best Detective Novel of the Year three times and has been nominated for two Edgar Awards. He has also won the Macavity, Barry and Anthony awards. In the past, Reed served as executive vice-president of the Mystery Writers of America. He is currently an adjunct instructor at Hofstra University and instructor at MWA U. He lives with his family in Long Island, New York. Notes: Bronx Requiem is written with John Roe. Tower is co-authored by Ken Bruen. The collection PULP INK also contains stories by Eric Beetner, Hilary Davidson, Matthew C. Funk, Richard Godwin, Allan Guthrie, Chris F. Holm and Gary Phillips. The Joe Serpe series is written under the pen name of Tony Spinosa. Blind Spot features the Jesse Stone character created by Robert B. Parker. Reed Farrel Coleman Synopsis: Hardboiled Brooklyn is an anthology edited by Reed Farrel Coleman, with a hard look at the mean streets of Brooklyn. The anthology consists of stories by 17 different authors.